It is time to announce the Design Team Favorite Picks for our week 10 challenge. 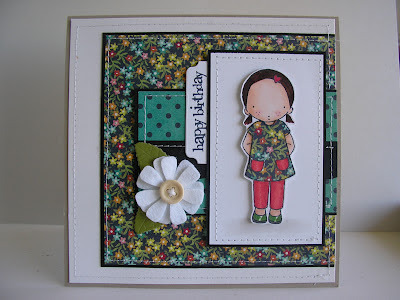 This challenge was the Paper Piecing Challenge. We had LOTS of amazing entries so it was super tough to choose! Thank you to everyone who played! Ceal Said..."its such a clean design and that little paper pieced girl just pops"
Jackie said..."This was really hard to pick. 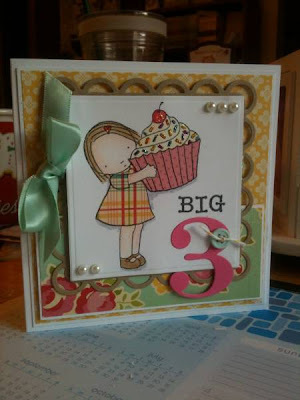 I think for me it would #15 Kathleen Barrett because I love her colors which suited her card for a baby, it was tastefully done (simple but elegant), and her coloring is awesome." 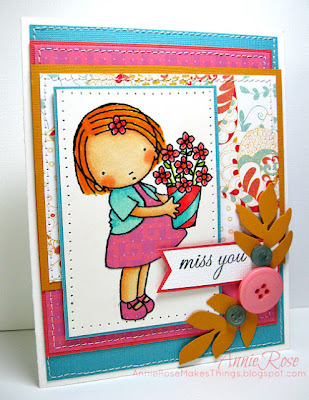 Lisa said...."One of my favorite images and I love fun, bright cards like hers!" Congratulations ladies! You all did a beautiful job with this challenge! Please grab your Design Team Favorite Picks Badge on the right hand side of the page for your blogs....AND as a BONUS...... if you send me your email address... 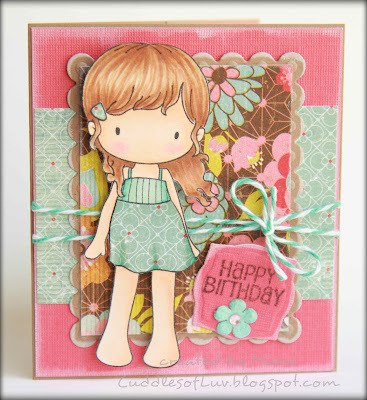 I will send you a coupon code for FREE SHIPPING on any size order from the Loves Rubberstamps store! Challenge 12 - Let's Play BINGO!